Whether you're in a hurry or simply prefer the luxury of curbside service, premium valet parking is available on the ticketing level of the main terminal. Look for the Valet lane on the departures drive. Valet parking is available 24/7. 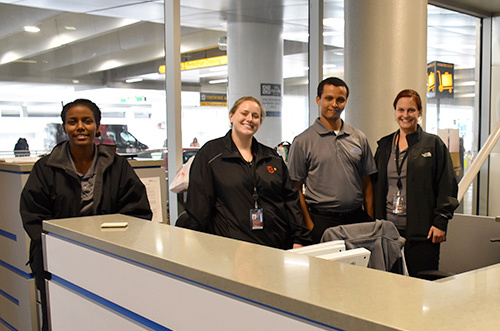 To retrieve your vehicle upon returning to Columbus, check in with the friendly valets at the ticketing level station situated near the curb just inside the terminal doors, or text ahead to the number on your claim ticket when you land. We offer electric vehicle charging in the garage and for valet customers. There is no additional fee for the use of the charging stations, which are available on a first-come, first-served basis.